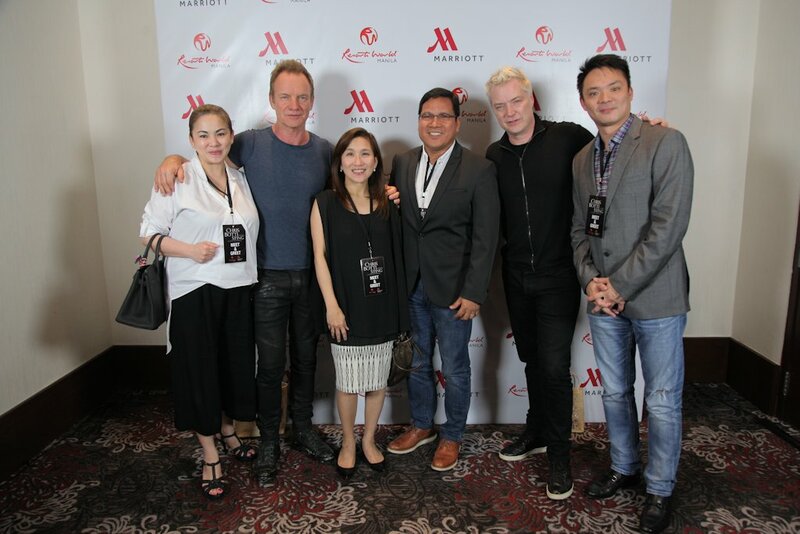 World-renowned jazz trumpeter Chris Botti and rock legend Sting both rode in utmost luxury and class aboard the dynamic Volvo XC60 SUV and All-New Volvo 7-seater XC90 SUV during their Manila tour. Ensconced in legendary Volvo safety, they were also ferried around in well-appointed comfort as these Volvos served as their official transport. Both icons shared the stage at the Marriot Grand Ballroom in Resorts World Manila for their Up Close and Personal concert this March 2016. Volvo Philippines has been an active supporter and one of the first car brands that has supported both local and international artists. Having a healthy appreciation for beauty in various forms, Volvo also recognizes the contributions of these two world-class artists in the field of music. Known for safety, Volvo has evolved to be a leader in premium quality automobiles that has sophisticated content. Designed around you, these vehicles is a combination of power, fuel efficiency, advanced technology and uncluttered design, making life less complicated for people who drive them. The interiors have been thoughtfully created to provide the best in-car experience, with allergy-tested interiors, cleaner interior air environment, carefully chosen materials such as soft leather and grainy wood and Sensus technology. Sensus opens up a new dimension of information, entertainment and connectivity with state-of-the-art audio systems that deliver the finest sound. The All-New Volvo XC90 also partnered with world-renowned audio specialists Bowers and Wilkins to delight even the most sophisticated audiophile. The car’s Premium Sound system has been developed together with the British audio company to deliver a truly spectacular experience. This collaboration has also delivered a world-first – a body-integrated air-ventilated subwoofer. No space has been compromised as the subwoofer has been placed in the rear wheel arch. This allows fresh air into the car, which means a large volume of air can be pulsed, delivering high-quality, powerful bass tones. Recognizing that having a premium sound experience is crucial to luxurious driving, Volvo and Bowers & Wilkins collaborated with the Gothenburg Symphony Orchestra. After taking more than 800 individual measurements in the concert hall and, with some very sophisticated software, they were able to recreate the acoustics of the concert hall inside the Volvo XC90. It is called the Gothenburg Concert Hall mode, and along with two other modes, it really does redefine what you expect from an automotive sound system.